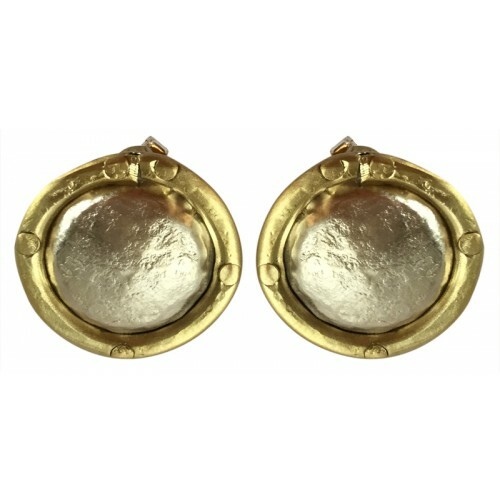 Circle shaped silver earrings are designed and handmade by jewelry artist Meral Dogan. Jewellery designer Meral Doğan who graduated from İstanbul University Latin Language and Literature has been designing jewellery since 2004. 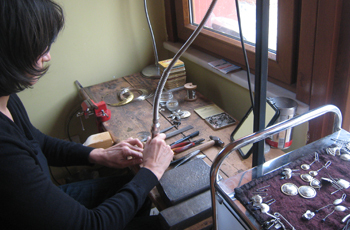 Having learned the technique at a friend’s workshop, the artist produces all the pieces by herself by using silver, metal, bronze and leather. Having been acquainted with the materials of different regions and cultures, the artist uses them in her artwork and defines jewellery design as “playing with dough”.